The Buzzcocks were a punk band that mods loved. Actually they were only a punk band if you listened to the media. 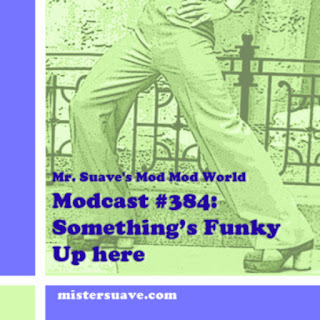 But if you listened to the music they were always more of a mod band, or at least more of that nebulous un-punk sort of new-wave, power pop classification that was hard to pin down at times. From the moment their first album burst into existence songs like "Ever Fallen in Love", "Just Lust", "Nostalgia", and the instrumental "Walking Distance" really proclaimed them as something different from the hordes of other punks out there. Maybe that something was closer to a mod sound, or a power pop sound, but whatever it was, it was pure Buzzcocks. 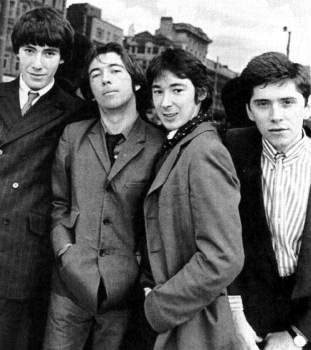 The Buzzcock's started out as Steve Diggle, Howard Devoto, Pete Shelley and John Maher. Devoto left pretty quickly, but even so their original output was pretty meager when compared to their long-lasting impact. Beginning to end was only about 4 years with the band originally disbanding in 1980. Since then there have been a number of reunions and lineups -- all acking Devoto but usually including Diggle and Shelley. They have released an additional five LPs, but only one of which is worth listening to -- 2005's Flatpack Philosopy. While listenable, it's got nothing on that early punk rock energy and intensity that made the Buzzcocks classic.